Sick of eating the same boring food every time you go hiking? 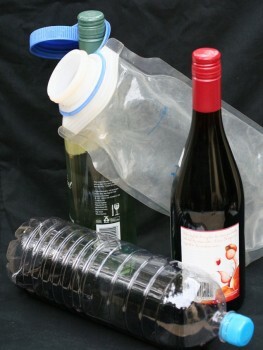 Need ideas on what food to take hiking, backpacking or bushwalking? This 160+ page guide has menu ideas, recipes, how to’s, step by step help, advice, tip on shopping and getting the best food for the trail. Beautifully presented, this guide will help you take great hiking, tramping , trekking or outdoor food every time. You know the story. Up at 4am to get to the start of the track. You have raced around for three days getting food organised, gear checked and packed , pets and kids palmed off to family or friends, just so you can escape for a couple of nights of solitude and reconnection with wilderness. The traffic is great at that time of the day and you arrive in good time. 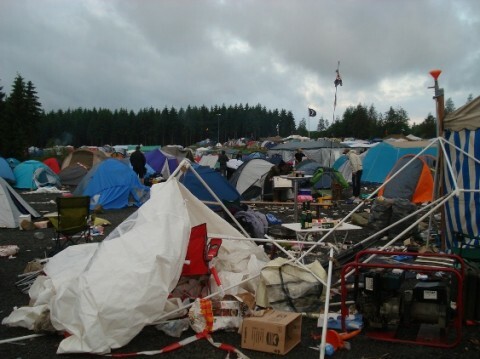 Your packs are heavy but you know it is worth it to get to your special place, your secret camping spot. One of the iconic walks on many Australian bucket lists is the Kokoda Track in Papua New Guinea. Running for 96 km (60 mi) overland (60 km (37 mi) in a straight line) through the Owen Stanley Range in Papua New Guinea, the track is renowned as the location of the World War II battle between Japanese and Australian forces in 1942. Frank’s uncle, Bob Melville, was up and down the track a couple of times before he was 19 years old. It has a strong place in the Australian psyche as a small force of undertrained and equipped troops fought the most desperate and viscious battle encountered by Australian troops in the Second World War. This article is about a group of people Frank has worked with at Uecomm, a large Australian broadband supplier and their shared common goal to hike the Kokoda Track. Some of them did it for the challenge, some for the fitness regime and some out of respect of our Aussie Soldiers. In this article we share Part One of their journey, the preparation and fitness campaign! We have been following a terrific journal by Leigh McAdam from Hike Bike Travel about her recent stroll along The Cumbria Way in the Lake District of England. Leigh, a Canadian, completed the walk in June / July 2010 as part of a walking holiday in the UK. Leigh had a terrific adventure. She has written several articles we would highly recommend whether you are planning the walk, or just want to enjoy a great yarn. Finally a great “tips” article that draws on her experience of walking in England and Scotland. There is a terrific blister photograph for any ghouls among us AND a great new blister product Leigh discovered, it’s well worth a read. We love to read stories of adversary and tough times. Sometimes hiking conditions can test and challenge you like never before. In this article we welcome Greg, who has been kind enough to share his recent Tasmanian bushwalking experience on a trip from the Walls of Jerusalem via the Never Never to the Oveland Track in Tasmania. We have done this trip twice. Our article Lake Meston Hut to Kia Ora Hut via the Never Never has a small map of the area and documents our experiences. It might be an interesting background to Greg and his son’s story. My 15 year old son and I aimed to replicate the walk you gave me on the GPS. It seemed the most logical thing to do regarding distances covered in one day etc. We even started out the same with a trip with Simon from Tasmania Tour Company to the beginning of Walls of Jerusalem! Simon asked me my walking intentions and when I said I was going across the Never Never to the Overland Track he kind of paused and then said, “Take it easy through there. There has been a lot of rain down that way.” I replied, “Yeah, no worries!”, sounding confident but not really sure of what his definition of ‘a lot of rain’ was! He did remind us though that we would see ‘no one’ through there in winter. The first day was spent walking to Dixons Kingdom Hut and we had an evening of wind, heavy rain and then a decent blanket of snow. 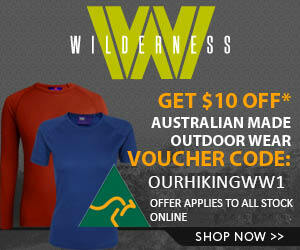 Planning to hike the Overland Track in Winter? 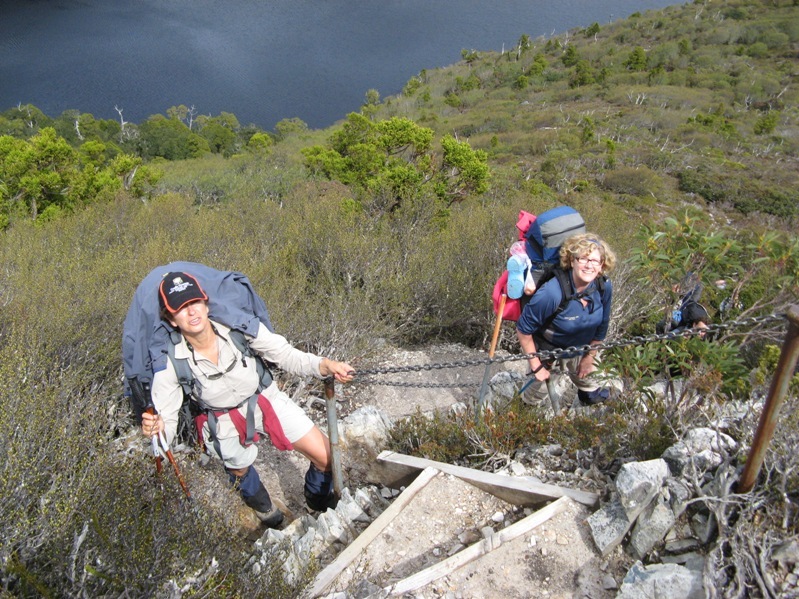 Looking to bushwalk from Cradle Mountain to Lake St Clair? If you have ever wondered what the conditions are like “off season” on this famous World Heritage journey, then this article is for you. Welcome Caitie Moncur who has been kind enough to share her journal notes from a very recent trip. After months of planning and preparation, and one final night of packing, weighing, unpacking and repacking, the time has finally come. We are Caitie and Lauren, 26 and 25 years old, best friends since we were 3 years old and we are about to take on the challenge that is The Overland Track… in Winter! I first got into bushwalking as a student at a well known Melbourne private school. Back in the 70’s we still had 3 term school years and each school holidays our loosely described bushwalking group would head for Breakfast Creek, north of Licola in the heart of Victorian Alps. Sometimes we THINK we are brave and adverturous. But generally we are pretty conservative, there for a good time, rather than a hard time. Let us therefore introduce you to Hank and Brian Leukart. They like an adventure, they love a challenge and, if the truth be known, they must be slightly , well…..totally mad. Over at Hank’s inspiring site, without baggage , you can read about a hiking adventure in the Denali National Park in Alaska. Just a quick post to let you know we are still busily editing Food to Go, our new guide on how to eat well in the outdoors. So,what is the current state of play? It includes over 50 high quality images taken specially for the book by our co-author Deb Hadskis. Bill Journee from Social Media Solutions is just about to start creating the masterpiece using Adobe InDesign. It will sell in eBook format (you will download it from here) for $A19.90. In this post we let your know the various chapter names and share some of the great images takes especially for the book by Deb Hadskis. 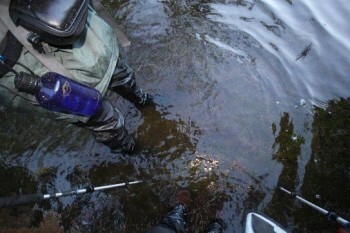 Wet walking track – give up on dry feet? 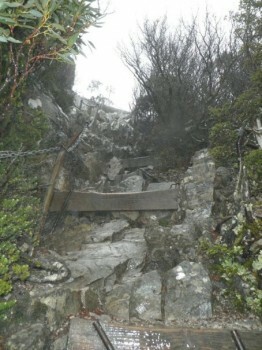 Bushwalking in Tasmania can be a wet experience. In this post we share a short video of some of the track conditions you can encounter after a lot of rain. Wet feet are part of any backpacking journey and this video was shot near Cradle Mountain and Lake Rodway. We hope it demonstrates how wet the tracks can be after a good lot of rain. Enjoy !